Join us on Saturday, April 15 for the annual Branford River and Town Clean-up Day (rain date April 22). Sign in at the Green starting at 8am and pick a site to work. Collected trash and debris (not your household trash!) can be dropped off at the Green until noon. Please be on the lookout for areas that especially need attention and report them to Maryanne Hall (203-488-4272 or mlhall511@comcast.net) before the day of the clean-up. For more information, contact Maryanne Hall. 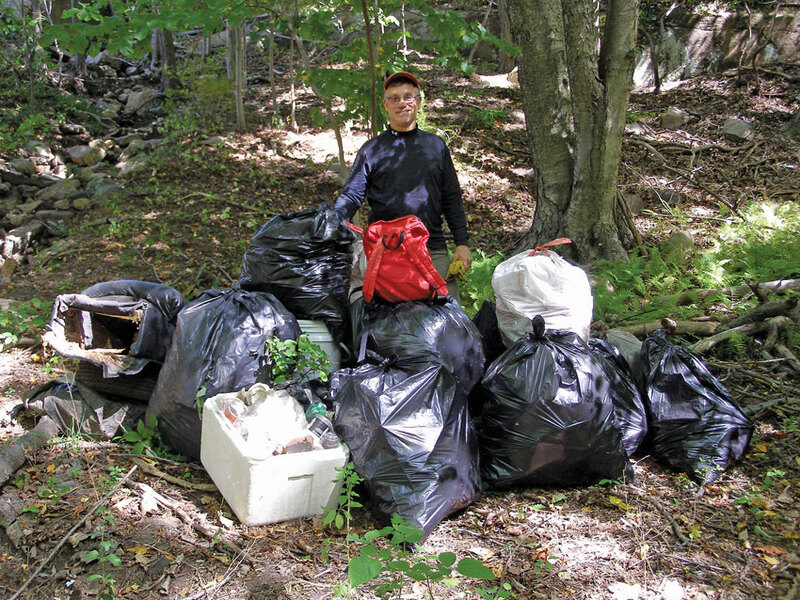 Above: Recently, the BLT Trails Committee collected more than 50 large bags of trash, 30 tires, and miscellaneous debris from the new Red Hill Woods property. Pictured is Matt Reed, Trails Committee Chairperson.